“Like so many individual participants in the national blood-letting, Alexandrians going to [civil] war were simply fulfilling their duty, upholding personal honor, not caught up in the political argument over a state’s right to secede or the moral argument of owning slaves,” George Kundahl wrote. Until President Lincoln responded to the Confederate firing on Ft. Sumter in April 1861. “I have received your communication, mailed [April 15th] in which I am requested to detach from the Militia of the State of Virginia ‘the quota designated in a table,’ which you append, ‘to serve as infantry or riflemen for the period of three months, unless sooner discharged,’” Governor John Letcher wrote the Secretary of War on April 16, 1861. The Secretary asked the states for 75,000 soldiers. “In reply…I have only to say that the Militia of Virginia will not be furnished to the powers at Washington for any such use or purpose as they have in view,” Letcher continued. “Your object is to subjugate the Southern states, and a requisition made upon me for such an object—an object, in my judgment, not within the purview of the Constitution or the Act of 1795, will not be complied with. You have chosen to inaugurate civil war and, having done so, we will meet it in a spirit as determined by the Administration and exhibited towards the South.” Like South Carolina before, Virginia seceded from the Union. During the Civil War, Alexandria, occupied as of May 24, 1861, functioned primarily as a military base. Railroads and the Potomac waterway combined to form a Federal transportation hub. In 1861 three railroads entered Alexandria. Another operated river steamers between its rail terminus at Aquia Creek and the city. Union occupiers required Leadbeater & Co., all of Alexandria’s businesses to purchase new licenses. The application included an oath of allegiance to the United States. Restored Virginia’s oath read: “Alexandria County—to wit: I solemnly swear (or affirm) that I will support the Constitution of the United States, and the laws made in pursuance thereof, as the supreme law of the land, anything in the Constitution and laws of the State of Virginia, or in the Ordinance of Convention which assembled at Richmond, on the 13th of February, 1861, to the contrary notwithstanding; and I will uphold and defend the Government of Virginia as vindicated and restored by the Convention which assembled at Wheeling, on the 11th day of June, 1861.” A signed loyalty oath was also needed to secure a travel pass, to fish in the Potomac River, or hold political office. “I am induced to subscribe the oath affirmation as a condition on which I can transact my business…because there are many prescriptions…in the store of Leadbeater & Co. given by physicians which require renewal daily—for the sick,” Mary Leadbeater wrote May 27, 1862. Not all southerners were seriously invested in slavery. In 1862 President Abraham Lincoln, relying on his war powers, responded to Virginia’s repeated intra-state disputes and approved West Virginia’s admission into the Union. Northwestern and eastern Virginia divided politically; over issues like voting rights, abolitionism and industrialization. In August 1863 Wheeling became the capital of the State of West Virginia, and the capital of the Union-friendly restored government of Virginia moved from Wheeling to the federally-occupied city of Alexandria. Richmond remained the capital of seceded Virginia and the Confederate States of America. The military repeatedly criticized the Alexandria Gazette for its dual coverage of Alexandria and Richmond politics. 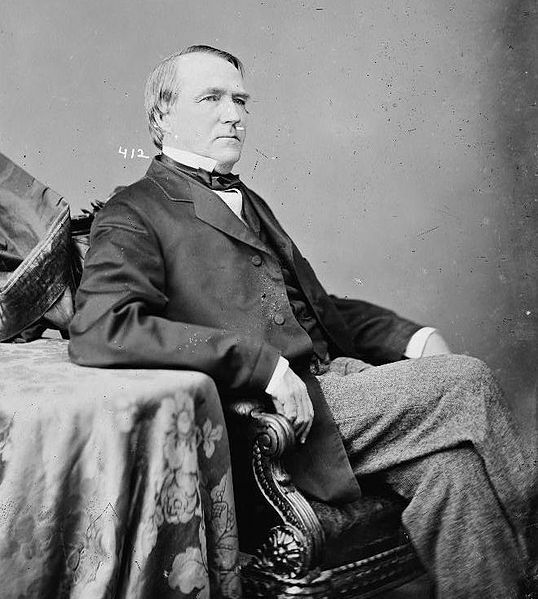 Restored Governor of Virginia Francis H. Pierpont—a lawyer, northwestern Virginia coal operator, and anti-slavery Whig—also moved to Alexandria in 1863. Mayor Lewis McKenzie, Unionist Congressman Lewis McKenzie and First Ward Alderman Lewis McKenzie welcomed him. Pierpont established his executive offices in the Farmer’s Bank Building. McKenzie, born October 7, 1810, was a lifelong Alexandrian; a byproduct of Virginia’s antebellum south and an abolitionist repulsed by the city’s slave trade. In 1864 the restored government [seven Virginia counties] called a Convention. The attendees acknowledged the 35th State of West of Virginia, adopted an amended constitution, and abolished slavery. By 1865 war operations no longer included Alexandria and on July 7 the military departed the city. News of Richmond’s collapse, General Robert E. Lee’s April 9th surrender, and Old Glory’s return to Ft. Sumter confirmed the cessation. Restored Governor Francis H. Pierpont relocated to Richmond; politician Lewis McKenzie, also a railroad executive, returned to Congress, and Confederate Colonel John S. Mosby, 43rd Battalion of Partisan Rangers, willingly supported Republican President Ulysses S. Grant following passage of the General Amnesty Act of 1872. Reconstruction ended with the Compromise of 1877.